Slate is not known for it's Christian testimonials. But a story about forgiveness is a story about Christ whether acknowledged or not. Here is a Christian version. 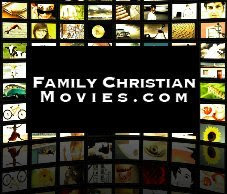 Jay at FamilyChristianMovies.com found my review of Bella and wanted to talk about it at his blog. Thanks Jay. Keep up the good work. There is nothing for me to add to this essay. In 1973, Feminists promoted abortion as their route to liberation; a way to elevate their status in society and secure for them what they believed was rightfully theirs. Due to their efforts, the evil of abortion was unleashed. Once an evil is unleashed, no person, group of persons nor government can limit or control it. In the Guangdong province of China today, 144 births out of every 200 are male. The reason for the disparity of the normal 50% ratio is that this province (and government) specifically targets female babies as undesirable and aborts them. So 44 female babies are aborted out of every 100 female conceptions, or 44%. Chilling, isn't it? So the Feminists in this world thought abortion would free them as second class citizens, but now it targets them as a second class citizens ten fold. Paul boils the list of ejection-worthy offenses down to six in 1 Corinthians 5:11; fornication, greed, idolatry, verbal abuse, drunkenness, thievery. Sounds like 5 of the 10 commandments and an obnoxiousness clause. The commandments I'm thinking of are #7 Adultery a, b, c, #10 Lust a, b, #2 No idols a, b, c, d, e, f, #9 Lying, perjury, slander a, b, c, #8 Stealing a, b, all the links are too my previous series on these commandments. My intention is to revisit these topics in the context of church life and try to figure out how to apply this to my church and my life today. Here's how a bunch of different translators or paraphrasers make English of Paul's Greek. I really like the paraphrases in the Message and the Bible in Basic English. NET ©But now I am writing to you not to associate with anyone who calls himself a Christian1 who is sexually immoral, or greedy, or an idolater, or verbally abusive,2 or a drunkard, or a swindler. Do not even eat with such a person. Abortion seems to be right no matter what to PlannedParenthood staffers. At least that is the impression they make on the Mona Lisa Project journalists who nail two more clinics assuring claimed underage girls that their adult impregnators won't get in trouble. Thanks to Uncommon Descent with many more links on this topic. After I published previously, I was able to do more thinking on my bike ride home. I know one of my weaknesses as a writer is that I make long mental leaps between points that tends to leave readers mystified. Sorry. I've been mulling over a proposed definition of character today. The popular definition in my church circles is that character is determined by your behavior when no one is watching. It sounds pretty good. I watched a debate with Christopher Hitchens yesterday in which he complained about the cosmic despot who holds us guilty for every thought that wafts through our minds. Fantasy is what one does in one's own mind where none other, but one, God, can see. Everyone fantasizes of good and evil. Hence, who has character? Hitchens misses Jesus' point. Our thoughts affect our souls and usually affect our actions. Even the moribund, those trapped by physical paralysis, are sinners in need of a savior. Jesus calls for a radical response, by hyperbole, to wicked thoughts, amputation, Matthew 5:29-30. Tony Jones calls the creation account true but not factual and thinks Paul's understanding of original sin and its transmission from Adam to us is corrupted by the confusion of true and factual. He sure acts like a typical liberal Princeton seminarian. He keeps getting hung up on the issue that somehow Adam's curse messed up his genetics which would explain original sin, and since no one has found the Sin gene, Original Sin must be an archetype, whatever that is, and not a reality. I responded You seem hung up on a materialist explanation of the transmission of sin from Adam. Perhaps we inherit some of our parents' spritual essences as well. However, it does seem mysterious, but why should mystery prevent us from accepting plain doctrine? Thanks to Mike Wittmer for the heads up and brief analysis. Justin McRoberts reflected on the complaints of a wealthy man. My friend makes good videos like this one, a refreshing take on the prayer of Jabez. I linked to his first video here. He has a Youtube channel as well. I got rid of Snapshot previews. They never seem to load fast enough and so the visitors experience can get bogged down. However, I added the NETBibleTagger tool. I usually hyperlink all scripture references, but this tool supposedly makes that unnecessary. You should be able to mouse over John 3:16 and see a pop-up with the text of the verse in the window. K. P. Yohannan from Gospel for Asia has some suggestions. It was really nice in Haiti. I liked being disconnected from the news and the blogs. When I came home I went to google reader and told it that all 1,000 unread blogs were officially read. Surprisingly, life continued without difficulty. But now I'm back in the US where I blog and read blogs and sometimes comment on blogs. My friend Justin McRoberts posted a funny video about how good we actually have things, despite our bad economy. I compared things here to life in Haiti. I also made a comment on a post of his about Christian T-shirts. Jill in Alaska couldn't finish the Iditarod Race by bike this week because of frostbite and she fears she let her fans down. How can this be a FAIL if he knows he's a winner in his heart? Beware, this is a long story. But it also has many pictures from my trip to Haiti.